An NYPD officer testified Tuesday that it’s common for officers — like a rookie cop accused in the fatal housing project shooting of an unarmed man — to have their weapons out while patrolling project stairwells. 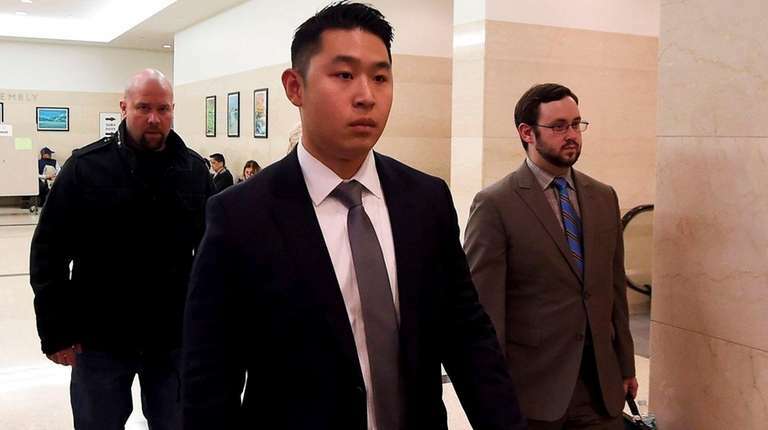 Prosecutors called Officer Andrae Fernandez, an eight-year veteran, to testify at the Brooklyn trial of former NYPD police officer Peter Liang, who is charged with manslaughter in the death of 28-year-old Akai Gurley. Liang’s 9-mm handgun accidentally discharged in a darkened stairwell of the Louis H. Pink Houses in East New York on the night of Nov. 20, 2014. A bullet struck Akai Gurley, 28, in the chest. According to testimony, several attempts to revive Gurley using CPR failed. He was pronounced dead later at a hospital. Liang and his rookie partner were conducting patrols inside the housing development on the eighth floor stairwell, according to testimony and police. Holding his gun and flashlight, Liang opened a stairwell door and his gun discharged, a bullet striking Gurley as he and his girlfriend were on the seventh floor landing, according to testimony and an NYPD account of the shooting. The rookie officer with less than 18 months on the job the night of the shooting, is expected to take the stand next week. He faces charges of second-degree assault, criminally negligent homicide, reckless endangerment and official misconduct. Liang has pleaded not guilty. If convicted, he faces a maximum sentence of 5 to 15 years in prison. “Yes,” replied Fernandez, who arrived at the scene shortly after the fatal shooting. Fernandez also testified that he had to push open the eighth-floor stairwell door that Liang had to open earlier. Fernandez also testified that he administered CPR to Gurley. “I yelled at him to stay with me. Mr. Gurley was unresponsive,” Fernandez told Brown. State prosecutors also submitted a haunting video of the darken stairwell where Gurley was shot. 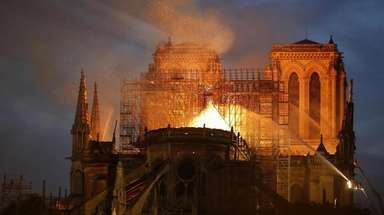 It was illuminated with a flashlight taken by police investigators. Det. Matthew Steiner of the NYPD Crime Scene Unit, testified that the bloody clothing and baseball cap near a pool of blood belonged to Gurley.